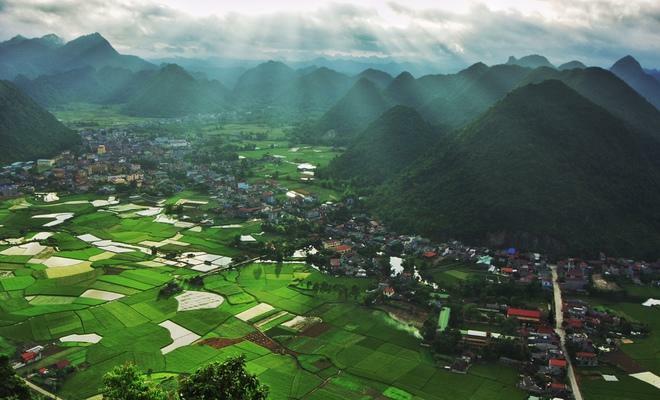 In July, when the rice fields in the valley of Bac Son in Lang Son Province are changing color from green to yellow, it’s time for travelers and photographers to capture the beautiful moments of the year. The two best times of the day are when the valley wakes up at dawn and when the sun just goes down behind the mountains. This is the scene of Bac Son town in the first sunlight of the day. To get a panoramic view, you should choose a mountain to climb to its peak. Your sweat will pay off worthily because you will be relaxed looking at the peaceful valley below and your fatigue will go away. 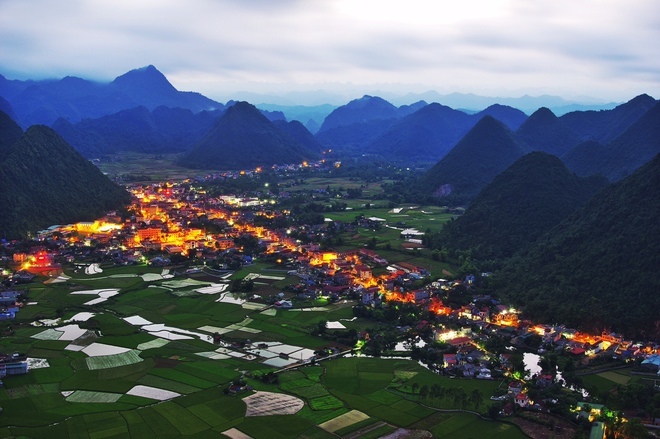 Bac Son is about 160 kilometers north of Hanoi. The paddy in Bac Son is not planted at the same time, so you can see the different colors of the rice fields. It is estimated that the rice fields will ripen in about two weeks. Bac Son at sunset, with the tranquility and peace of a mountain town. You can also visit the fall of Dang Mo, about 20 km from the town or stay at the hamlets of the ethnic Tay, Nung, and Dao and enjoy their specialties.